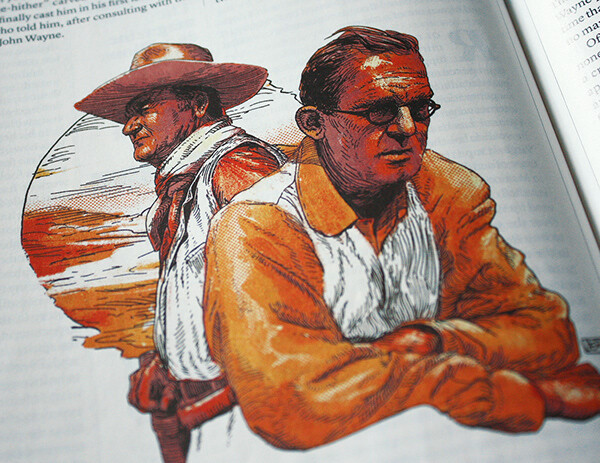 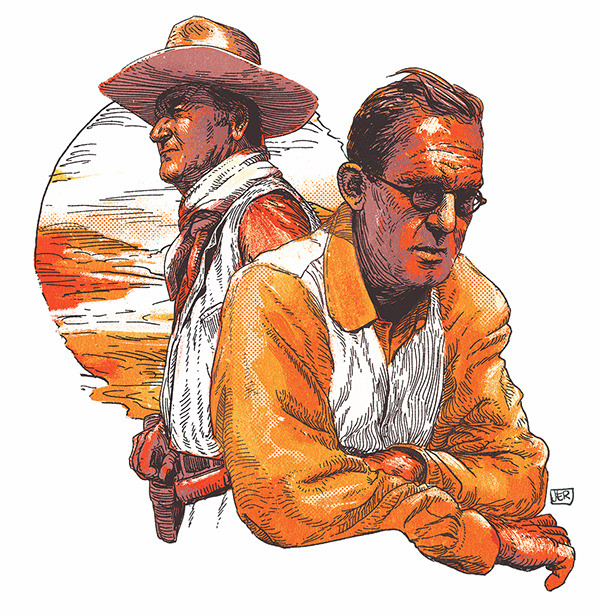 I was commissioned to do a dual portrait of two well-known American icons: John Wayne and John Ford. 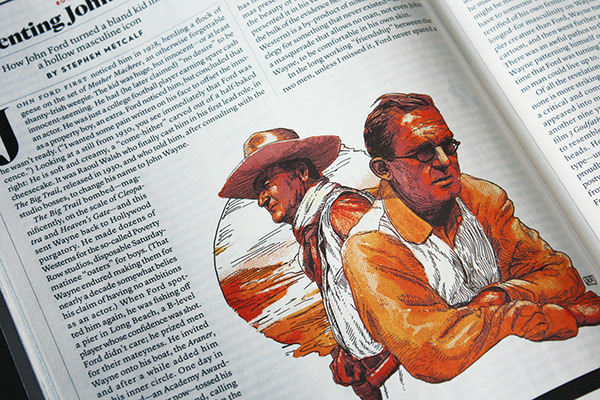 In their creative partnership, “the two men succeeded in defining an ideal of American masculinity that dominated for nearly half a century,” Nancy Schoenberger writes in Wayne and Ford: The Films, the Friendship, and the Forging of an American Hero.​​​​​​​The illustration accompanies the essay written by Stephen Metcalf in the December 2017 issue of The Atlantic. 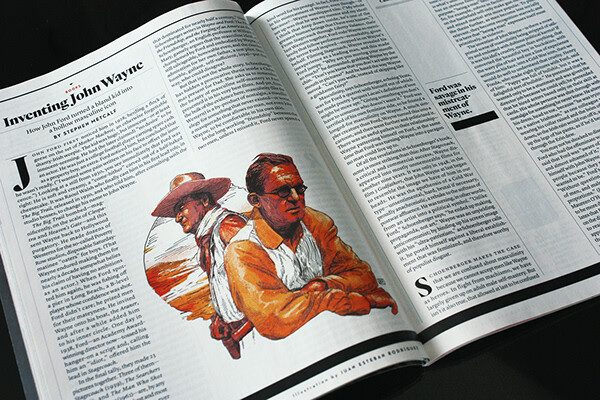 Thanks to Zak Bickel for the fantastic art direction here.